Welp, it’s been a few weeks since the Digital Customer Experience Strategies Summit in Chicago, IL. If you haven’t had the chance to attend, the show is about advancing the digital customer experience sector. Topics discussed to improve CX include; journey mapping, digital integration, analytics, omni-channel strategies, personalization, design and loyalty programs. I decided this year to wait a bit on my post-event wrap up as a test to see how many of the sessions, learnings, stories and relationships really stuck with me. Here is the rundown. Why are we all here? We’re looking to create and deliver better customer experiences. In its simplest form, we do it to reduce churn, attract more customers and make more money. 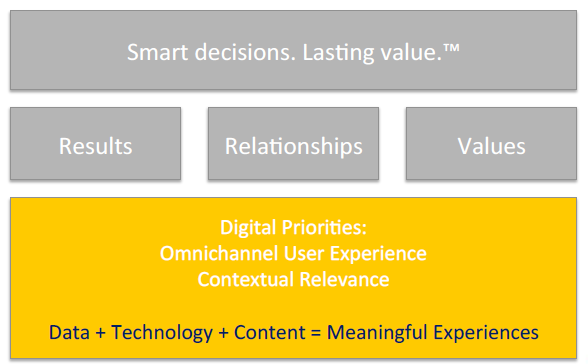 What is Digital Customer Experience (DCX)? 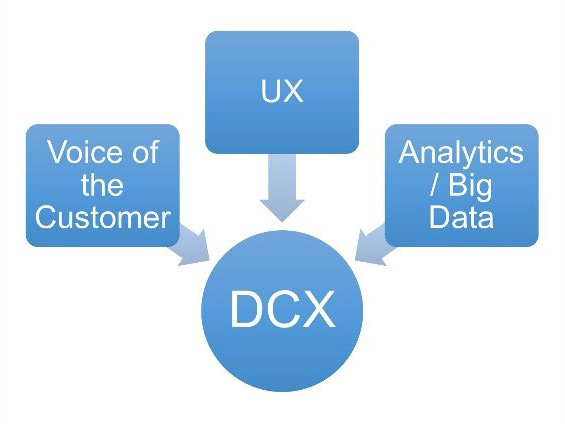 DCX is an evolved discipline bringing together Voice of Customer (VoC), User Experience (UX) and Analytics/Big Data. Vicki Jones, SVP of Customer Support and CX of at&t Entertainment group took the stage in place of Dennis Maloney from Dominos who couldn’t make the show last minute. Her session “Redesign Your Customer Experience to Eliminate Friction at all Touch Points” was a great internal case study reflecting on the transformation at&t Entertainment is going through. 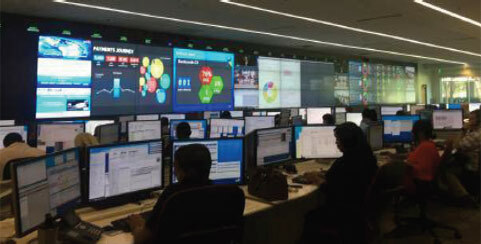 They made the decision to bring together three different business units, DirectTV, Home and Mobility, into a single integrated unit. 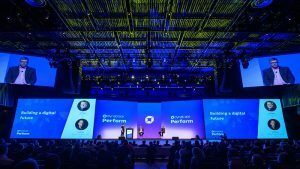 Driven by a need to change culture, they build founding principles based on some great hard trends like: making customer experiences simple, seamless, personal, fast and secure. The group is highly invested, to the tune of $1B in their CX transformation initiative! Next up was a panel discussing the topic of integration titled “Unlock your Company’s Full Profitability with Digital CX Integration Strategies” including Martin Gurth, Sr. Manager of Customer Experience at Travelocity, Danny Setiawan, lead UX for Mobile at The Economist and Tema Frank, CX expert at Frank Reactions. The single most resounding points for their discussion supported the opening statements from Chris. They all have a design to transform, drive profits and differentiate themselves though better CX. The common painpoint they each shared was getting executive buy-in. I took the stage for a bit to discuss the gap in communications and understanding between Business groups and IT groups titled “Utilize a Disruptive Analytics Approach to Deliver Great Digital Experiences.” If you’ve read this blog before you’ve probably already seen versions of this same story, challenging those in business, development and operations roles to reach across the aisle in the name of better CX to start tearing down silos. Feel free to grab the presentation here if you like. Hiram Barber, Global Director of Partner Relationship Management at Schneider Electric took the stage to review their success story “Integrate Your Global Ecosystem to Drive Your Company’s Strategic Digital Transformation.” Hiram did a great job highlighting many of the common transformation problems global organizations run in to. They began their adventure with analysis of user journeys internally to isolate common pain points. Over time they expanded their efforts to understand all customer touchpoints. What started as an initiative to help find efficiency and manage load across various channels evolved into systemic integration between various digital groups. These combined teams created playbooks to help maintain strategic order to handle ongoing change. Like many organizations, they had data problems – both from a quantitative and qualitative standpoint. Their current success model requires finding a balance between global and local needs. Kate Kompelien the Associate Director of Customer Experience at Best Buy spoke about “Evolve Your Journey Mapping Strategies to Maximize Your CX.” Outside of the typical Journey Mapping talks, Kate gave some great insights into the organization makeup and internal reasoning behind her Journey Mapping efforts. Mapping is an integral part of the Best Buy omni-channel strategy and above all, enables them to build experiences that meet customer needs vs. succumbing to internal drivers. She works with a cross-functional team of about 20 people to gather and review research across each phase of the journey. The cross-functional team allows them to take steps beyond problem identification and just “throwing them over the wall” to another group. They have the responsibility to analyze identified painpoints in more detail and brainstorm ways to address them. MaryBeth Omness, Digital Media Director at Crowe Horwath surprised me with some solid lessons many of us can identify with in “Sustain Your Digital CX Through Continual Digital Improvement.” Working with a customer base comprised mostly of C-levels, its critical their internal cultural values bleed out into the real world. As a means to differentiate themselves, they have ongoing initiatives to continuously break down internal silos in an effort to highlight their company Values. Attracting an executive audience isn’t easy. Crowe’s digital priorities are centered around delivering tailored thought leadership content using the ideal platform or channel, online or offline, to their executive targets. They have the social advocacy, sales enablement and dynamic content services in place to accomplish this. Danny Setiawan the UX Lead for Mobile at The Economist took the stage next for a session on “Utilize the Full Potential of Your UX Team to Drive Your Transformation.” Back in 2014 at The Economist, UX was seen as a burdensome blocker only included at implementation stages. Through a pivotal platform migration decision, they brought together a common platform from another team. Perhaps most notably however, this created the foundation for product and development teams to collaborate toward a common goal. 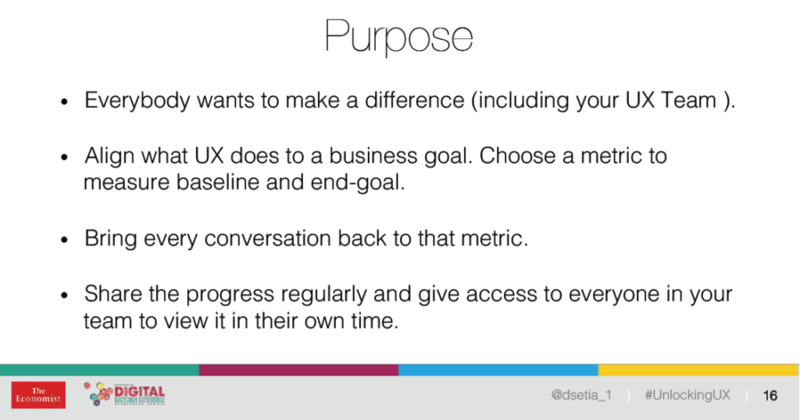 Going forward, the UX team was brought in at beginning stages to help with research, design, architecture and prototyping. Chris Penn kicks us off again with some CX commentary. He reminds us that Customers can’t be controlled! Michael Marino, SVP of Loyalty and Digital of Caesars Entertainment addresses the crowd with the first day 2 keynote titled “Provide Digital CX Across Your Company’s Network to Solidify Loyalty.” Michael began in his role by starting one of the first loyalty programs in the US. Those efforts were entirely focused on personalizing the experience of their gaming customers. Food, lodging and entertainment – a collectively more valuable contribution of their business wasn’t even considered at the time. He set out with the goal to engage members outside of the casino environment. 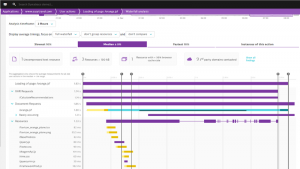 He had to build up an internal database of non-gaming contacts and begin to measure their CX, reduce friction where possible and eventually build digital engagement plans for this new segment. These spurred innovations in restaurant reservation systems, mobile gaming apps and more. Ghada Ijam, SVP and CIO of Amtrak delivered the afternoon keynote “Building a Customer-centric Company Culture Through Embracing Digital Disruption.” In an effort to drive a customer centric culture, Amtrak started their initiative by identifying and classifying their customer groups into personas (Ex: Empty Nest Explorer, Leisure Seeking Loyalist, Destination driven individual, etc). Shortly following they underwent a customer journey mapping exercise. After understanding the various key touchpoints, they gathered customer feedback in an effort to identify friction points and remove them. The combination of these efforts allowed them to formalize a “Customer Experience Vision” which I found really interested. 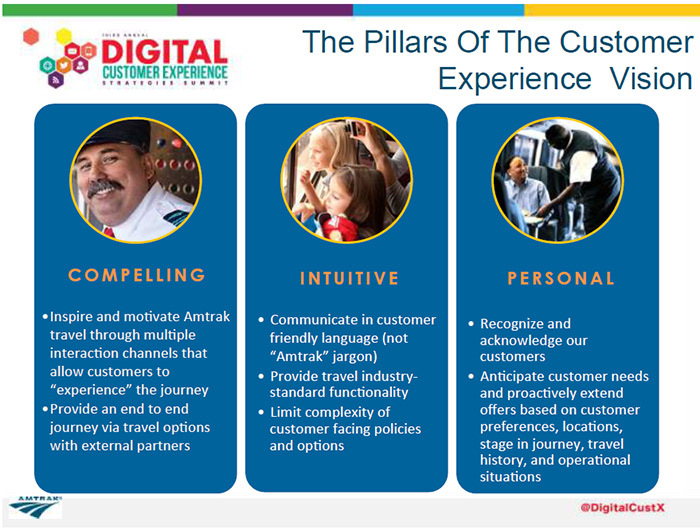 Amtrak has a CX Council made up of representatives across various department responsible for upholding and governing the three pillars of their Vision! The final presentation that really stuck out to me was from Judy Bloch, SVP of Client Experience at Citi titled “Power of Listening to Deliver Meaningful Real-time Action for Your Customers.” The credit card business unit at Citi has an omni-channel listening center in Dallas that they use to listen to customer feedback in real-time. Judy pulls VoC, Systems and Network Performance, Channel performance and journey effectiveness data and works with a team of analysts to establish rules and alerts to trigger the listening team into certain actions. Probably my favorite observation from the show, was learning that Judy’s team communicates to IT directly and helps prioritize fixes with an associated “Reputation Effect” score. IT issues aren’t just dictated by volume or some internal need, but collaboratively based on this score. What makes the score so effective is the involvement initially from their Incident management team in the establishment of the score. Everyone has a part in the building and execution of better CX! I’ve got to say, since attending this show last year I’m very happy with the direction we’re all headed in. This year is already a marked improvement in incorporating and understanding data points, viewpoints, and pain points of those outside of those of us in traditional CX roles. Moving beyond journey mapping and support response times we’re focusing on systemic CX improvement and changing cultures across departments. Our customers will all be better off as a result! Ryan has been working in the IT and Telecommunications industries for over 12 years with experience in all forms of data communications. 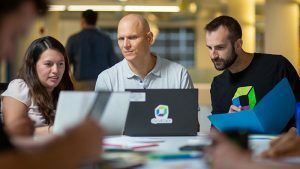 In his 8+ years at Dynatrace, he has spent considerable time experimenting with digital technologies and social media. Ryan also enjoys cynicism, soccer, basketball and video games.